Don’t get confused by our Direct Debit legend! The legend is a box which acts as a key for those that have set up a monthly donation to see it’s status. 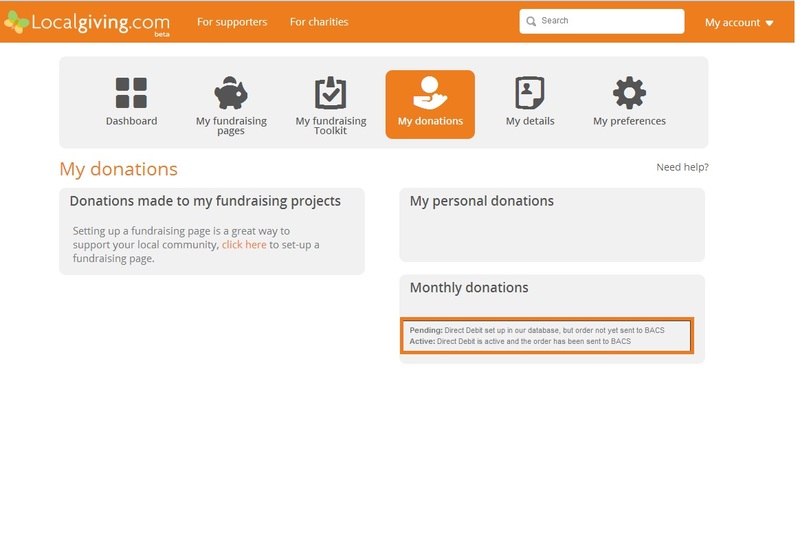 This legend remains there even if you have not set up a monthly donation. An active Direct Debit will state which charity you have donated to, the amount, and the date it is set up for.